A leader in economic growth, producer of products used around the globe, and possessor of an immense global workforce. No, this country is not the consumer-product patriarch, China; it’s China’s smaller yet mighty neighbor, India. 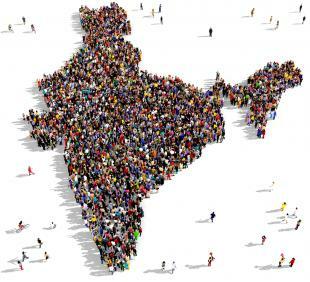 India, which has the second largest population in the world, has seen exponential growth in almost every sector of its economy in the last ten years. According to the World Bank, the ever-expanding country is globally ranked in the top 10% of countries in terms of economic development. But it’s not just India’s consumer product market that is thriving. One area of rapid growth is India’s elearning industry. Countries like India are beginning to see an increase in technological advances, which has a direct effect on the elearning industry. Every day the elearning market is expanding to markets outside of the United States, with India in 2015 leading self-paced elearning. But how is India adopting elearning so rapidly and more importantly, how will this affect the developing country? With a population of 1.2 billion, which is bigger than the population of the United States, India possesses a huge elearning market. The increased use of mobile device and computers, as well as rising demand from growing businesses in India, has facilitated elearning integration throughout the country. Moreover, elearning’s popularity in India is here to stay. By 2017, India’s online education market is estimated to double to 40 billion, meaning India’s elearning market will only grow in the years to come. Although India’s economy is prospering, the majority of the population lacks basic education. India’s government is trying to combat this glaring issue by promoting elearning to improve literacy rates and higher education. The government has been working with the Department of Electronics and Information Technology (DeitY) to support Research and Development ventures in the country’s academic institutions. With the help of India’s government, elearning could be the much needed solution for India’s education crisis. The most obvious reason for the growth of elearning in India is the country’s expansion of their internet and satellite broadband coverage. This increased coverage significantly reduces the cost of educating students and employees from remote rural locations. In addition, the expansion is especially important for the current technology-driven generation. Millennials will be able to take courses from the best elearning providers, which will help them remain competitive in the ever-changing world. India is clearly paving the way for the emergence of elearning in countries around the world. The country’s strategic use demonstrates how important online training can be to developing countries. eLearning has the potential to revitalize not only India’s education system, but also India’s economy. In the next 20 years, elearning has the ability to change not only India, but the entire world.